Tonight I was thinking would be a good night to get away from the recent wave of macro lagers that I've been reviewing recently, however my fridge was disappointingly empty. 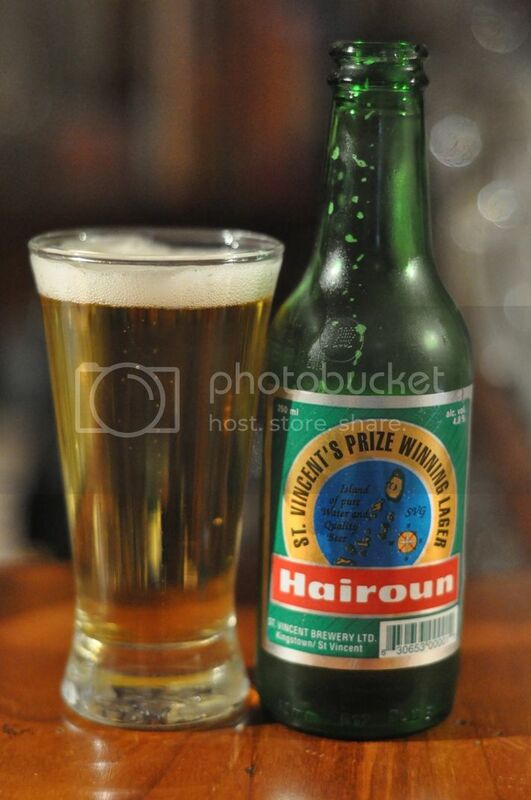 So while waiting for some other beers to cool down I thought it would be time to do delve back into my special delivery package and review the main beer of St. Vincent and the Grenadines, Hairoun. St. Vincent and the Grenadines is a group of islands in the Caribbean with a population of around 120,000. The main island is St. Vincent and houses the brewery which produces Hairoun. 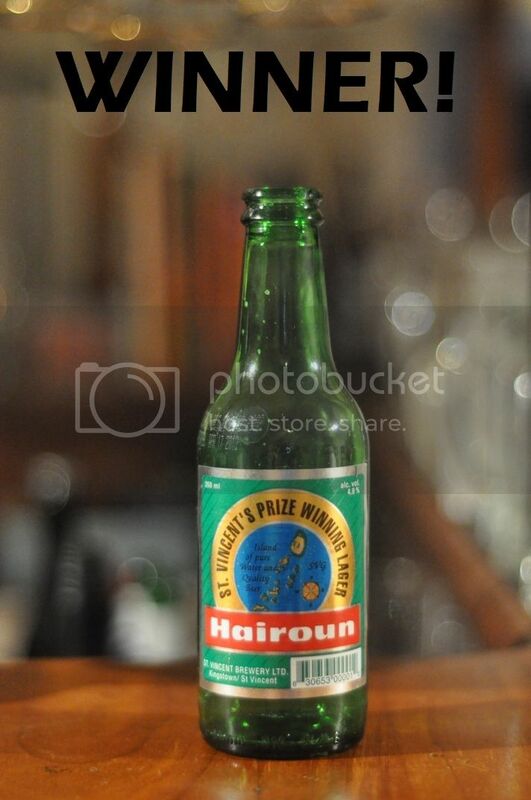 I actually had a cab driver on the weekend from St. Vincent and he was very interested to see what I had to say about "his" beer when I told him I had some. 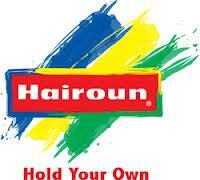 Hopefully Hairoun doesn't disappoint me. For the first time in the Bottle vs. Can debate I think the bottle is clearly the better looking beer. It's a beautiful golden colour with a bigger head than the can. Both have good levels of carbonation rising to the head, however a tiny ring of foam is all that either vessel can muster. The nose is like that of most tropical lagers. It's very light and inoffensive. It's very hard to tell either the can or the bottle apart. Both have a light grainy aroma and there is also a hint of sweet honey. There are much worse lager noses out there than Hairoun. Amazingly we have our first bottle win today! Quite honestly I never would have thought that the first bottle win in the Great Bottle vs. Can Debate would come from St. Vincent and the Grenadines! The bottle has clearly survived better than the can, it's a fresher crisper taste and is actually quite a drinkable lager. 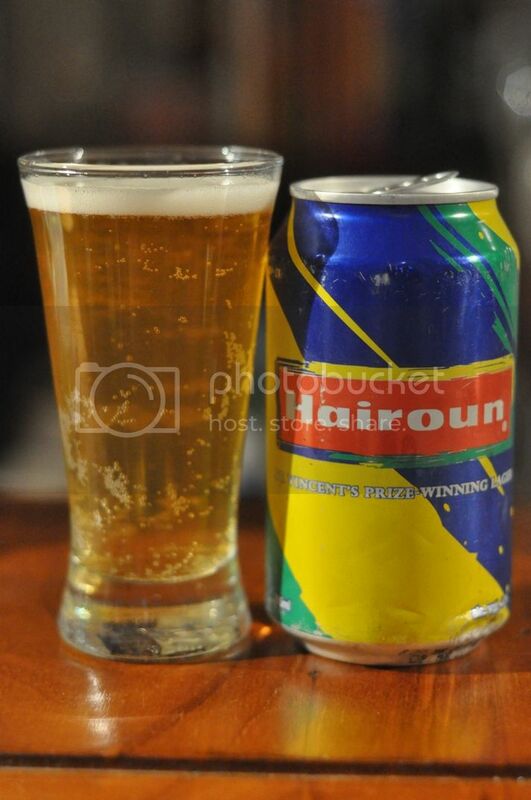 Daniel you were right, Hairoun is a nice beer! 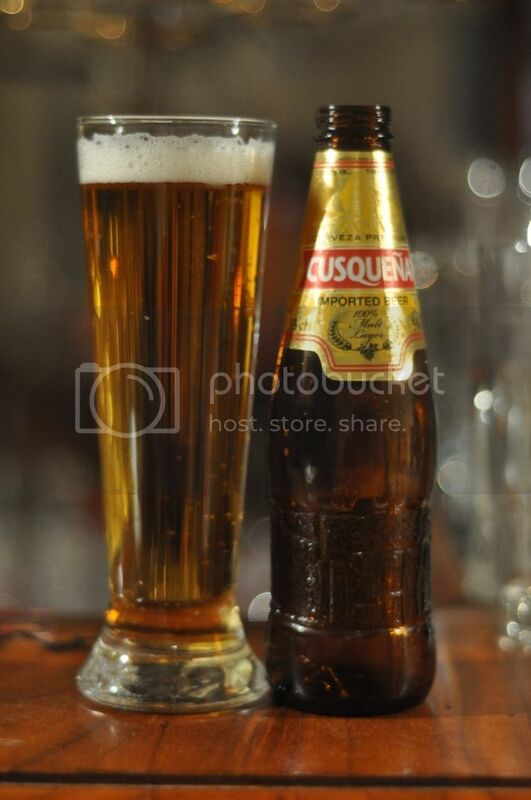 Remember it's always Beer O'Clock somewhere in the world!